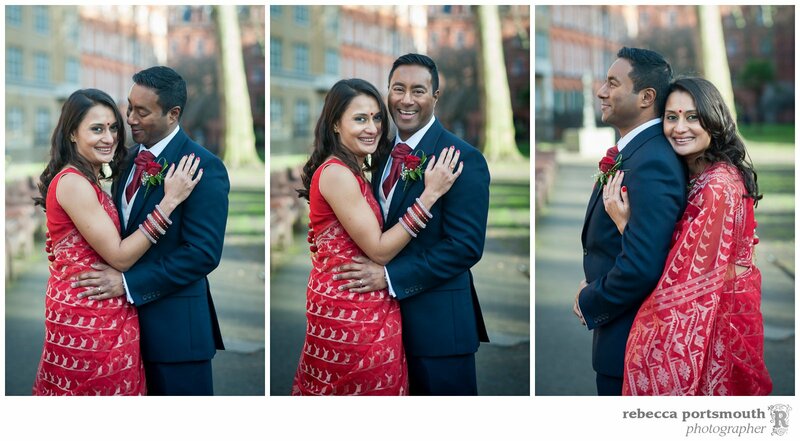 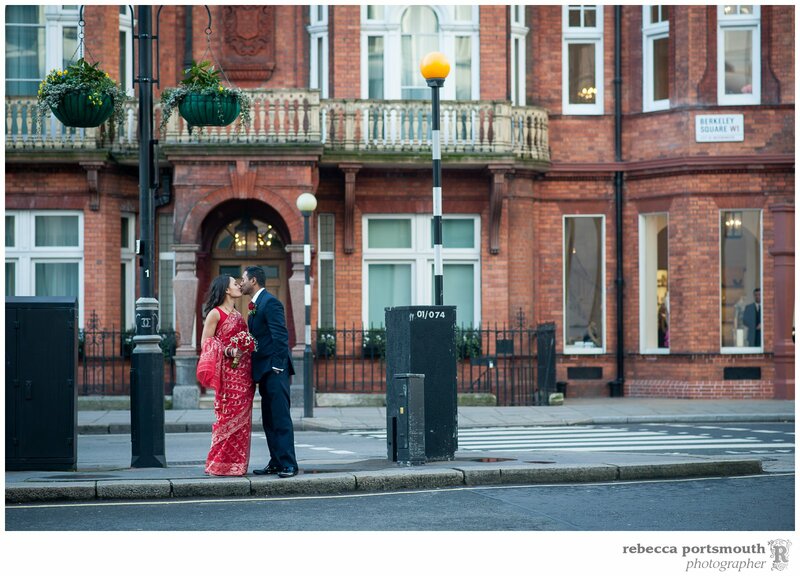 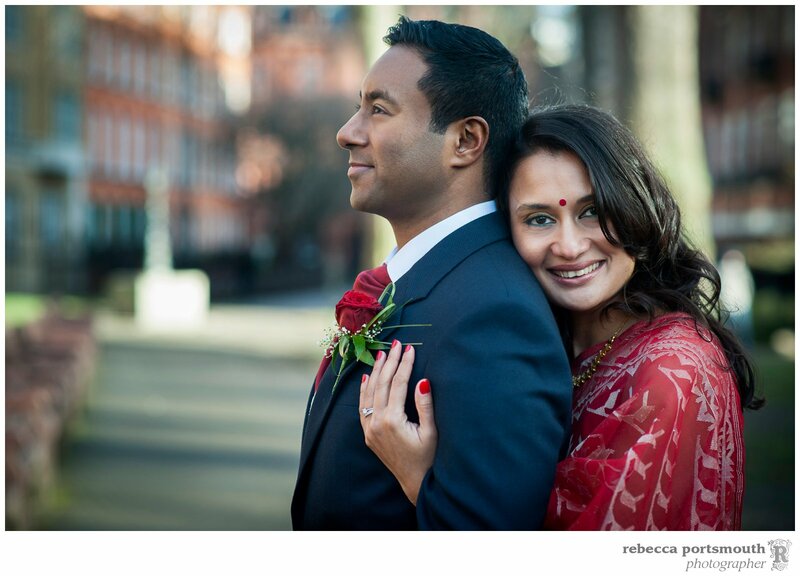 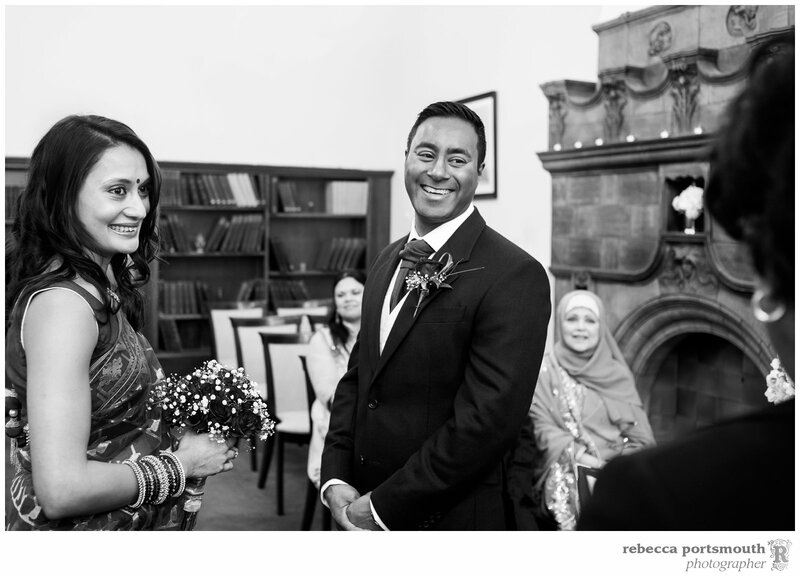 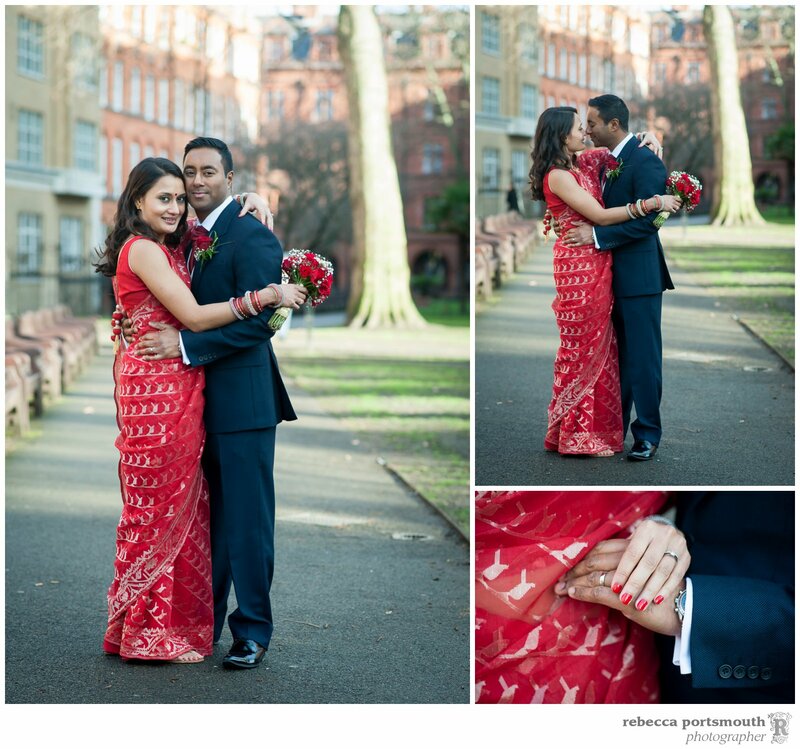 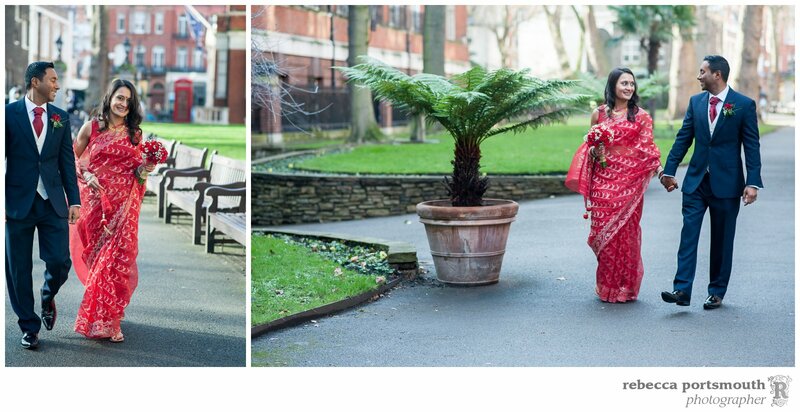 The Marylebone Room wedding of Tas and Ravi in Mayfair Library was on one of January’s cold but stunningly beautiful winter days, allowing us lovely portraits in the adjacent Mount Street Gardens. 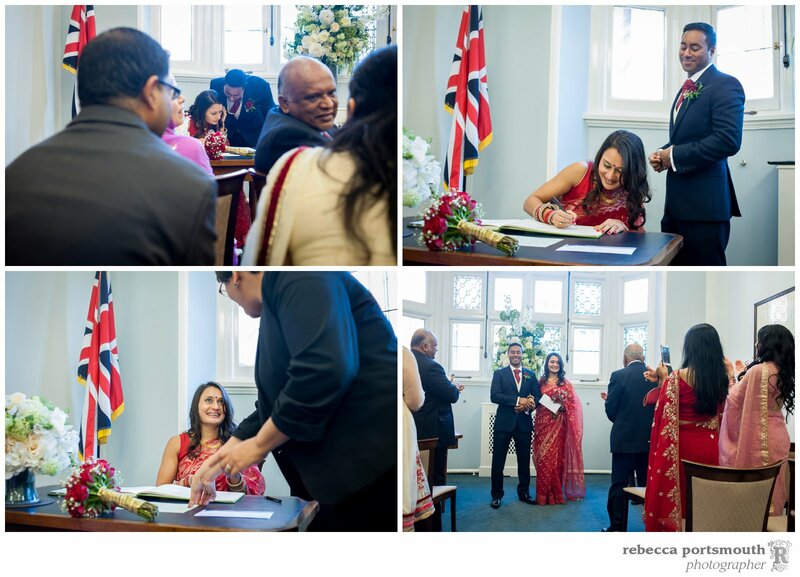 Tas and Ravi’s wedding ceremony was with their closest family and friends. 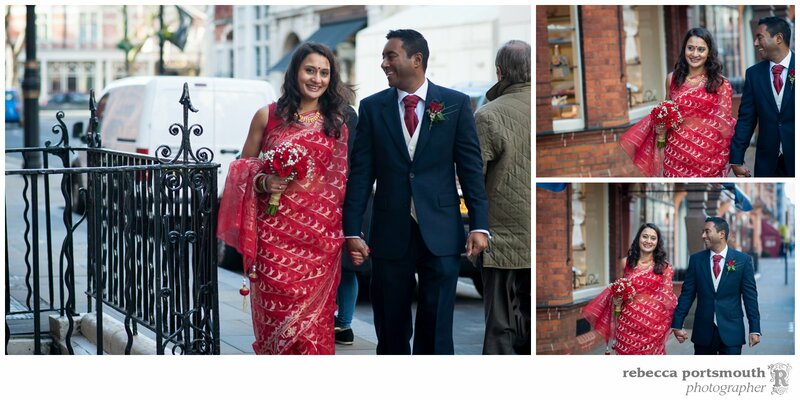 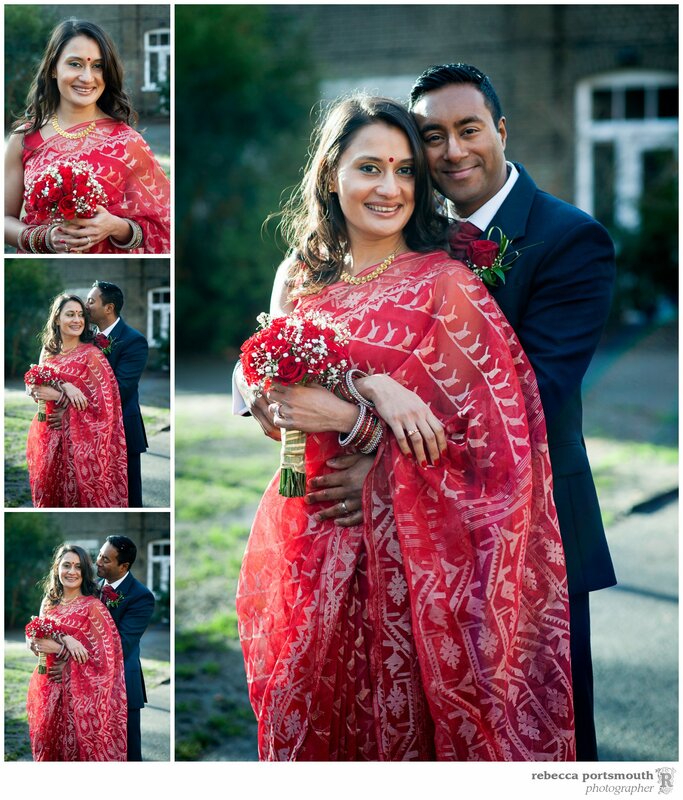 Tas wore a beautiful red sari and carried a bouquet of red roses and gypsophila or baby’s breath and Ravi had a red rose buttonhole on his blue wedding suit. 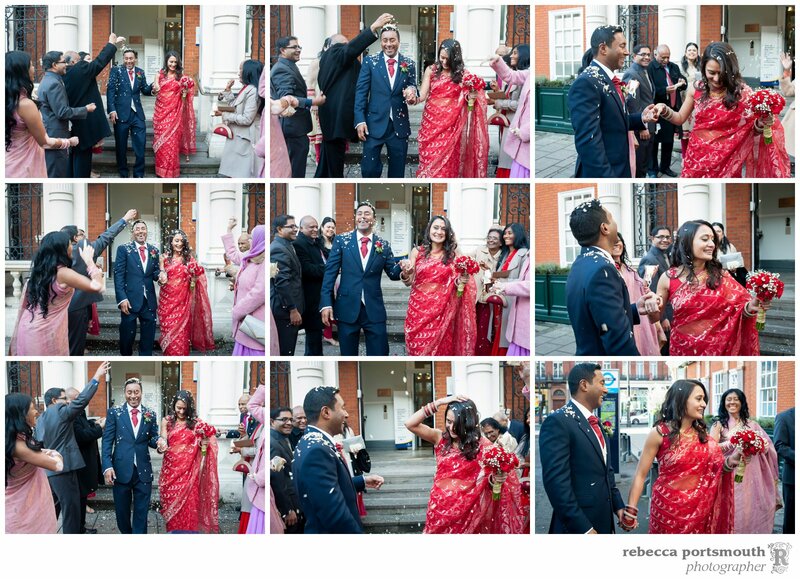 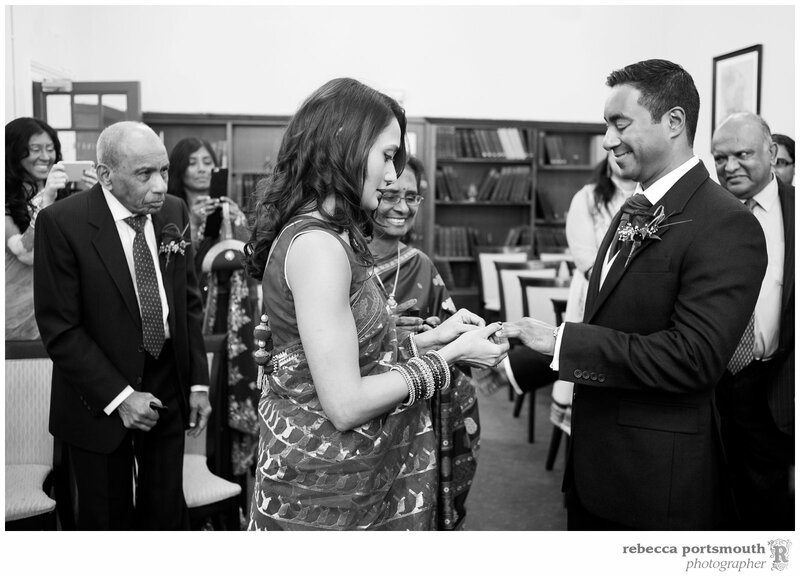 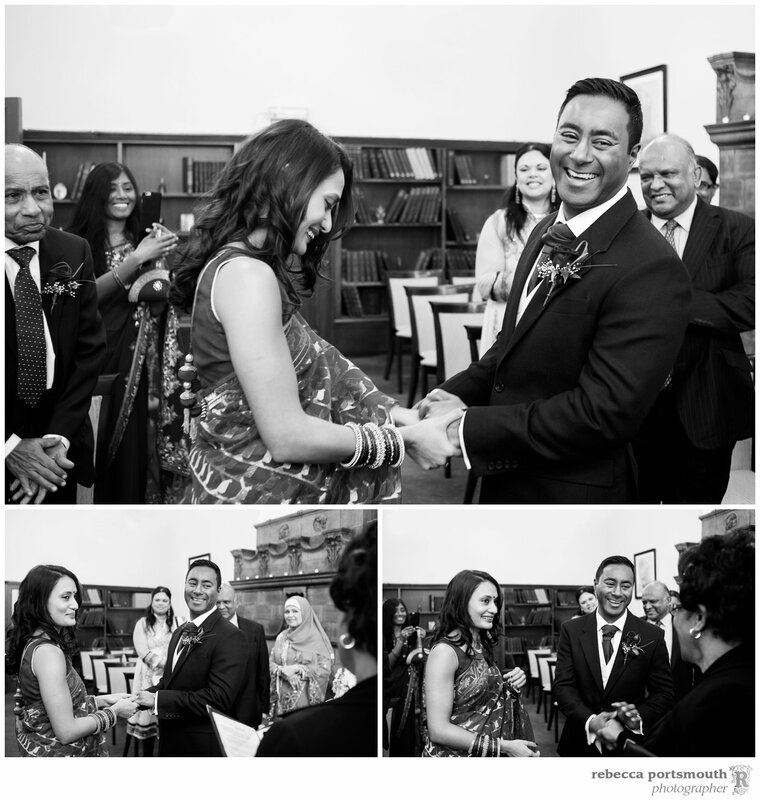 Ravi and Tas walked into Mayfair Library’s Marylebone Room together to meet their family and friends. 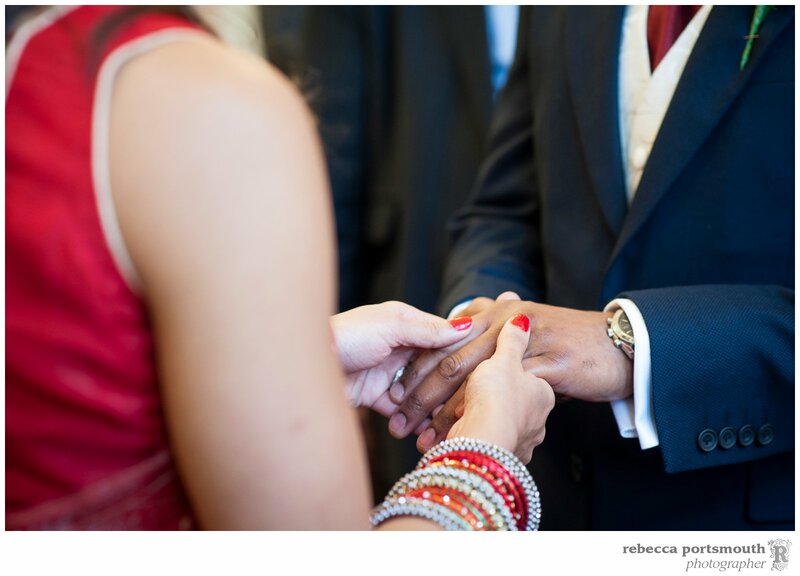 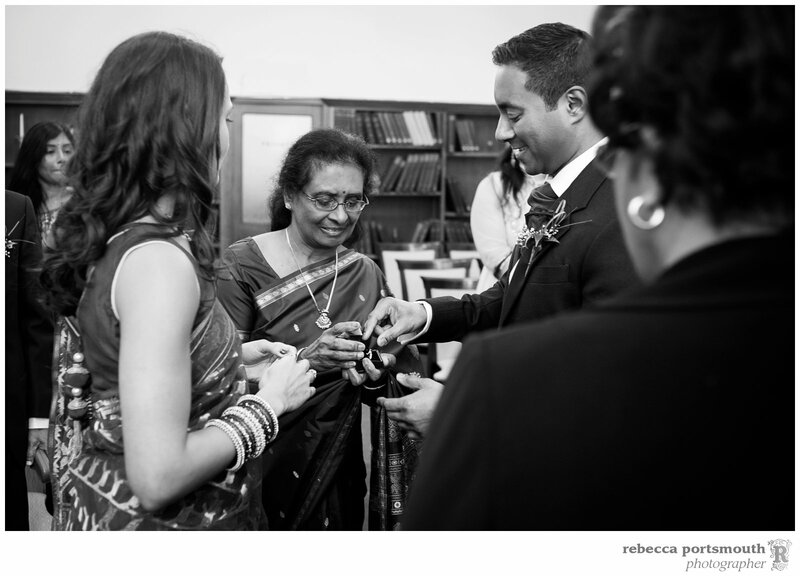 Ravi’s mother held a box with their two wedding rings for safekeeping, bringing it forward at just the right moment in the ceremony. 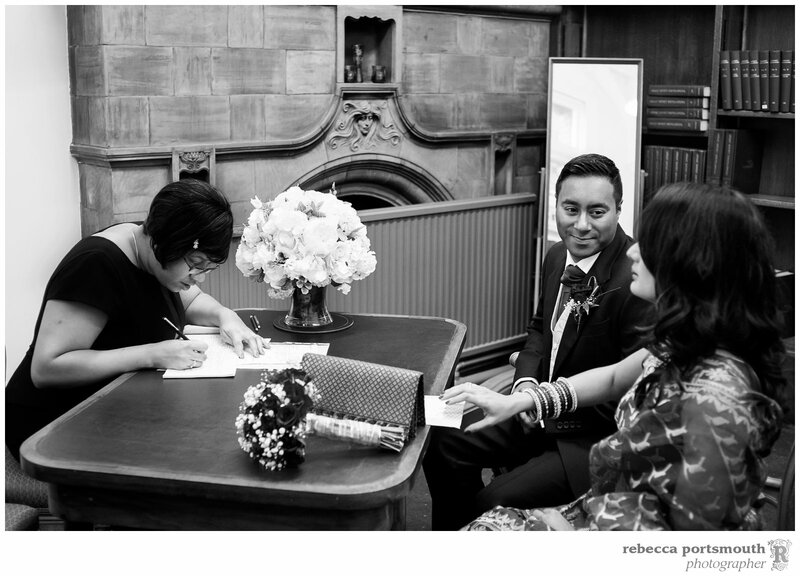 See – married! 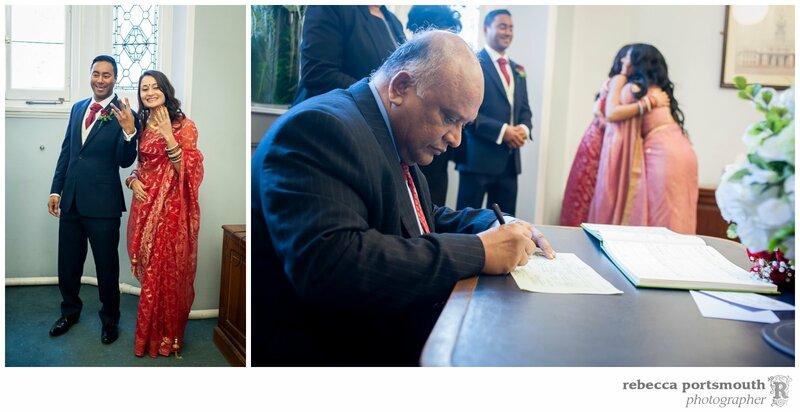 Tas and Ravi show off their shiny new wedding rings and their witnesses sign the register while other family members congratulate them on their marriage. 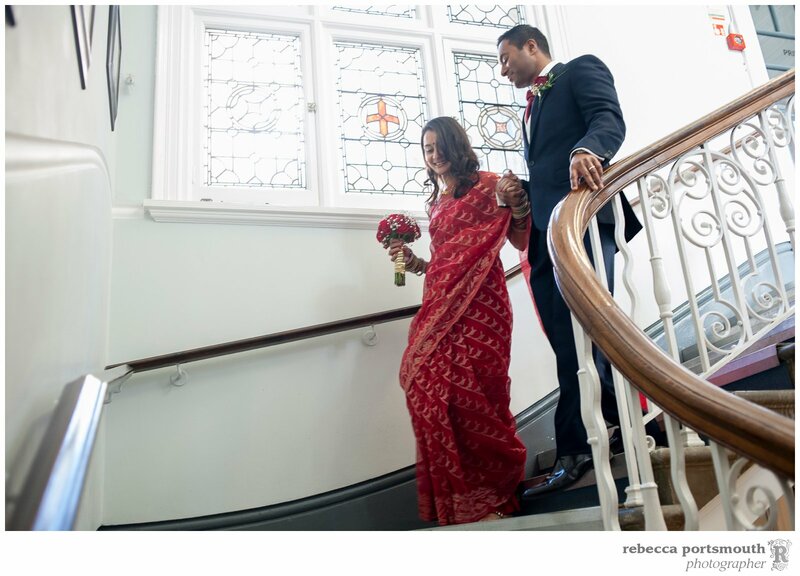 Tas and Ravi walk down the period staircase at Mayfair Library while their guests are outside with confetti. 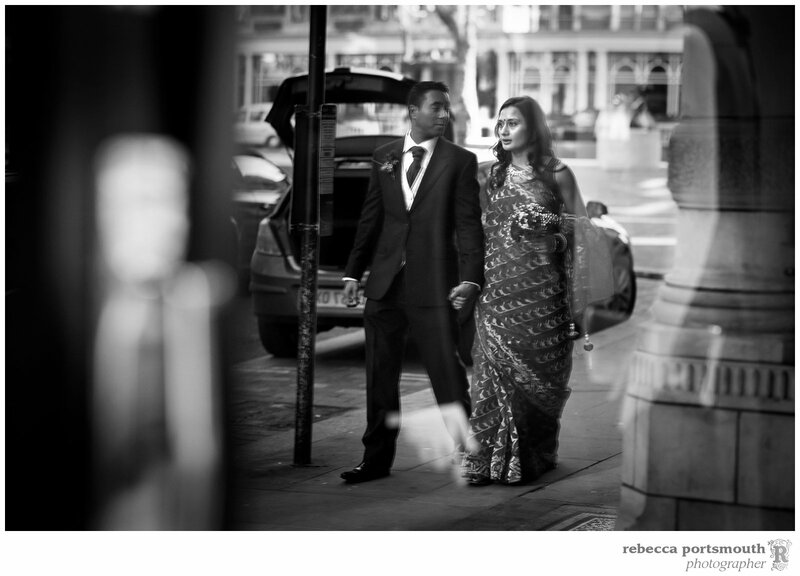 Tas + Ravi walk several blocks to Atul Kocchar’s Michelin starred restaurant Benares for their wedding breakfast. 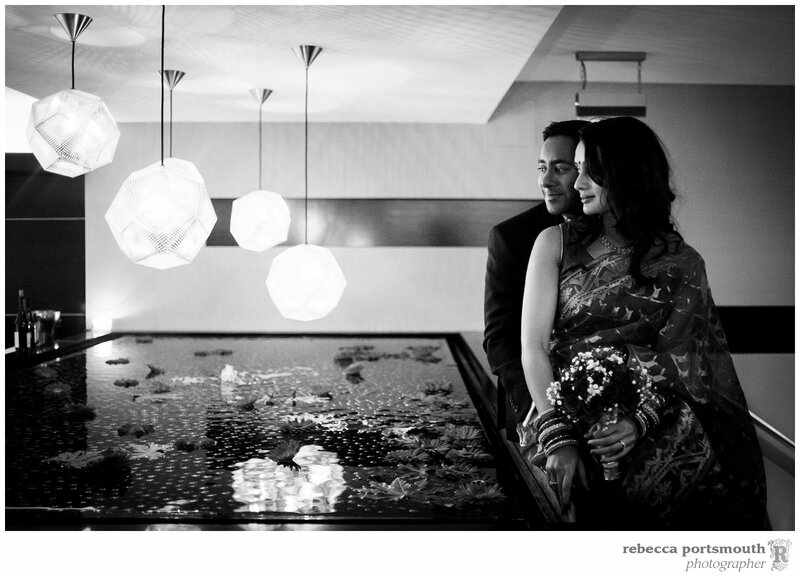 They had a portrait next to the water feature they love before I left them to celebrate with their guests.